Caktus was a proud sponsor of Django Under the Hood (DUTH) 2016 in Amsterdam this year. Organized by Django core developers and community members, DUTH is a highly technical conference that delves deep into Django. Django core developers and Caktus Technical Manager Karen Tracey and CEO/Co-founder Tobias McNulty both flew to Amsterdam to spend time with fellow Djangonauts. Since not all of us could go, we wanted to ask them what Django Under the Hood was like. 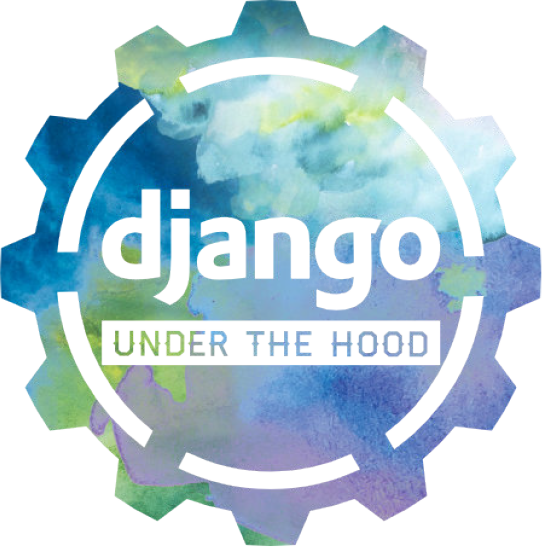 Can you tell us more about Django Under the Hood? Tobias: This was my first Django Under the Hood. The venue was packed. It’s an in-depth, curated talk series by invite-only speakers. It was impeccably organized. Everything is thought through. They even have little spots where you can pick up toothbrush and toothpaste. Karen: I’ve been to all three. They sell out very quickly. Core developers are all invited, get tickets, and some funding depending on sponsorship. This is the only event where some costs are covered for core developers. DjangoCon EU and US have core devs going, but they attend it however they manage to get funds for it. What was your favorite part of Django Under the Hood? Tobias: The talks: they’re longer and more detailed than typical conference talks; they’re curated and confined to a single track so the conference has a natural rhythm to it. I really liked the talks, but also being there with the core team. Just being able to meet these people you see on IRC and mailing list, there’s a big value to that. I was able to put people in context. I’d met quite a few of the core team before but not all. Karen: I don’t have much time to contribute to Django because of heavy involvement in cat rescue locally and a full time job, but this is a great opportunity to have at least a day to do Django stuff at the sprint and to see a lot of people I don’t otherwise have a chance to see. All the talk videos are now online. Which talk do you recommend we watch first? Karen: Depends on what you’re interested in. I really enjoyed the Instagram one. As someone who contributed to the Django framework, to see it used and scaled to the size of Instagram 500 million plus users is interesting. Tobias: There were humorous insights, like the Justin Bieber effect. Originally they’d sharded their database by user ID, so everybody on the ops team had memorized his user ID to be prepared in case he posted anything. At that scale, maximizing the number of requests they can serve from a single server really matters. Karen: All the monitoring was interesting too. Tobias: I liked Ana Balica’s testing talk. It included a history of testing in Django, which was educational to me. Django didn’t start with a framework for testing your applications. It was added as a ticket in the low thousands. She also had practical advice on how to treat your test suite as part of the application, like splitting out functional tests and unit tests. She had good strategies to make your unit tests as fast as possible so you can run them as often as needed. What was your favorite tip or lesson? Tobias: Jennifer Akullian gave a keynote on mental health that had a diagram of how to talk about feelings in a team. You try to dig into what that means. She talked about trying to destigmatize mental health in tech. I think that’s an important topic we should be discussing more. Karen: I learned things in each of the talks. I have a hard time picking out one tip that sticks with me. I’d like to look into what Ana Balica said about mutation testing and learn more about it. What are some trends you’re seeing in Django? Tobias: “Django is boring” because it is no longer unknown. It’s an established, common framework now used by big organizations like NASA, Instagram, Pinterest, US Senate, etc. At the start, it was a little known bootstrappy cutting edge web framework. The reasons why we hooked up with Django nine years ago at Caktus, like security and business efficacy, all of those arguments are ever so much stronger today. That can make it seem boring for developers but it’s a good thing for business. Karen: It’s been around for awhile. Eleven years. A lot of the common challenges in Django have been solved. Not that there aren’t cutting edge web problems. But should you solve some problems elsewhere? For example, in third party, reusable apps like channels, REST framework. Tobias: There was also recognition that Django is so much more than the software. It’s the community and all the packages around it. That’s what make Dango great. Where do you see Django going in the future? Karen: I hate those sorts of questions. I don’t know how to answer that. It’s been fun to see the Django community grow and I expect to see continued growth. Tobias: That’s not my favorite question either. But Django has a role in fostering and continuing to grow the community it has. Django can set an example for open source communities on how to operate and fund themselves in sustainable ways. Django is experimenting with funding right now. How do we make open source projects like this sustainable without relying on people with full-time jobs volunteering their nights and weekends? This is definitely not a “solved problem,” and I look forward to seeing the progress Django and other open source communities make in the coming years. Thank you to Tobias and Karen for sharing their thoughts.